Quinlan Interiors Services is a premier contract office furniture and filing systems dealer. Since 1997, we have operated as Quinlan Interiors Services, focusing solely on contract furniture and filing systems. Our customer service will follow you from the initial contact to the final installation. In addition to quality products, we also offer space planning and furniture reconfiguration services. With the use of computer generated drawings and specifications, Quinlan Interiors Services is able to help you design an office layout specific to your needs. Our experienced, friendly staff has over 60 years of experience in the office furniture industry. 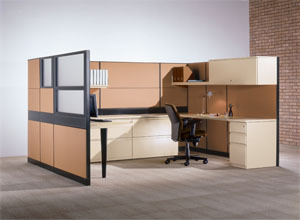 Our product line includes Kimball Office Furniture and AIS Systems Furniture, as well as many brands of seating, filing systems, and standard office furniture. Quinlan Interiors Services is listed with the Better Business Bureau. We also have access to various national contracts for business and healthcare. Our manufacturers are environmentally friendly, using as many green manufacturing processes as possible.